1. Why is the eyeliner smudging? 3. So, let’s go straight to the point, how to keep eyeliner from smudging under eyes? The eyeliner has become a favorite beauty product in most women’s cosmetics bags. So, discovering how to keep eyeliner from smudging under eyes is always given top priority in every makeup tip debate forum. When you can choose the right eyeliner for your eyes, it will transform you from a person with a plain look into a gorgeous queen. But, have you ever imagine that how you would look when the eyeliner smudges throughout the day? That’s when you look much like a raccoon than an attractive woman. There are many things you can do to stop this situation. Don’t worry! We have found out such great tips and tricks to help you keep the eyeliner stay put towards the end of the day. In the current worldwide cosmetics market, you probably feel confused as there are tons of eyeliners. If you cannot make up your mind on a good eyeliner, we’ll help you narrow down your choice. Click the article BEST EYELINER FOR WATERLINE to know more about what the best eyeliner is and some further tips to get a gorgeous eye makeup. Let’s go straight and find how to keep eyeliner from smudging under eyes! Why is the eyeliner smudging? The truth is that when we can pick a good eyeliner, it does not mean that that eyeliner will work well for everyone. The reason lies in the differences of people’s eye shapes and eyelid movements. To be more specific, whenever we blink or wink, the eyelids will change in multiple ways. Then, when the eye skin folds, it creates smudging of eyeliner. There may be the one who blinks harder than the others, so the degree of smudging will be different for each one. In this case, if you ask us how to keep eyeliner from smudging under eyes, our advice is to avoid drawing the eyeliner close the lash line. Like face skin types, your eye skin area also varies. You might possess oily, dry or combination skin. How your eyeliner smudge depends on each skin type. When you have oilier eyelids, you are likely to suffer from much smudging eye makeup. You should keep in mind that the oilier your eye skin area is, the more smudging your makeup is. One more important thing is even the best waterproof eyeliner can not help excessively oily eyelids. It requires much more than a good eyeliner only. 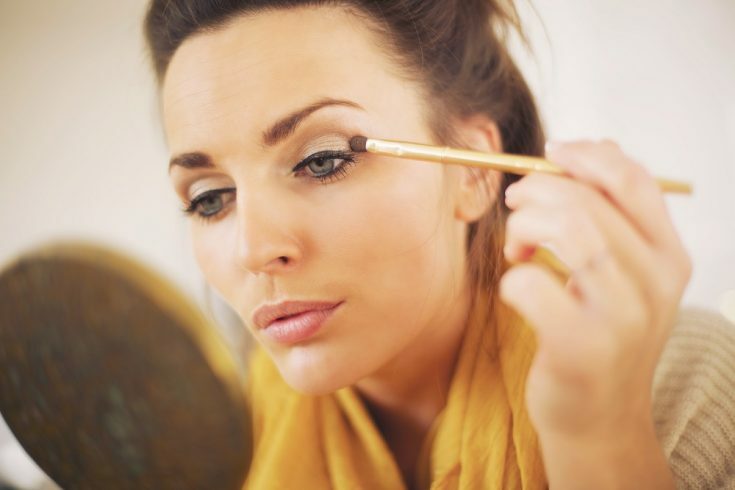 In short, it is one of the factors that can make your eye makeup smudge. We will mention some tricks and facilitating techniques to help you know more how to keep eyeliner from smudging under eyes. It’s a simple to understand that regardless of how well-prepared you are for the best waterproof eyeliner, there is still a chance for eye makeup to smudge anytime. Why said “other involved factors” here, it is because the durability of the eyeliner depends on the quality of our skin and the slight or dramatic change of the sebum level, the outside environment, as well as the transference of eyes movement. Before going into getting to know how to keep eyeliner from smudging under eyes, we want to be sure that you know the reasons why you’re in trouble with that problem. Eyeliners benefit everyone because you’ll get fuller lashes than ever, and thus, look more attractive. See the below eyeliner mistakes that could enable your eye makeup smudge! You must know that your waterline is the watery eye area. If you don’t prepare well to do eye makeup with that place, your eyeliner will smudge quickly right after a few minutes. Moreover, the waterline is easily exposed to discoloration and sleepy look. To have a brighter eye appearance, you’re supposed to use a brown, charcoal or black waterproof eyeliner. Then, you draw the line both the top and bottom of waterline. 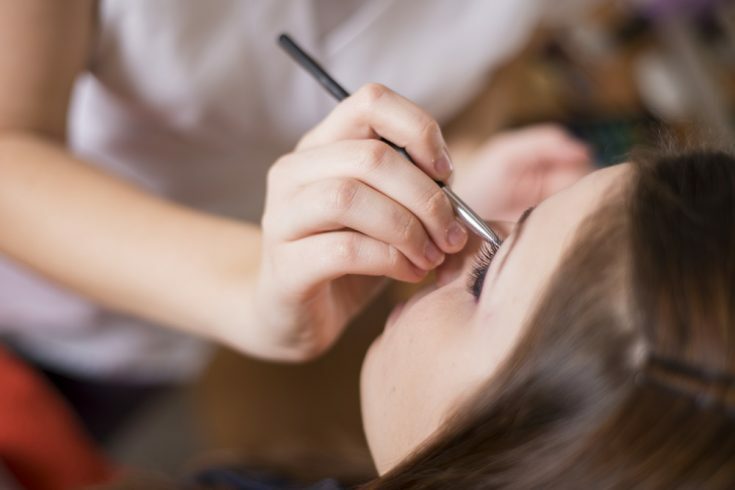 As said by Maya Michelle Shapiro, a world-known celebrity makeup artist, two important techniques to find out how to keep eyeliner from smudging under eyes are to use waterproof eyeliner and to set powder. She pointed out that applying concealer with a translucent powder to the under eyes prevents your eye makeup from running or smudging. Most people often choose the eyeliner with beautiful colors and they forget about what type of formula that should be chosen to keep the eye makeup place. Their mistake is that they ignore waterproof formula which is consider the crucial point in preventing the eyeliner smudging under the eyes. A long-wear eyeliner with waterproof formula is an ultimate selection to help you get great look without having to worry much about smudgy eyeliner. So, stick to it! So, let’s go straight to the point, how to keep eyeliner from smudging under eyes? An eye makeup is always a central point of any look. Anyone who often takes on eyeliners will know that how much the eye makeup improve your appearance significantly. You will become more youthful and attractive than when you appear without any makeup layer. We know that most of you will find it a nightmare to struggle with the situation when your eyeliner is smudging without any reasons. Like those with constantly eyeliner smudging, regardless of how waterproof the eyeliner formula is, there is still a way for the eyeliner to smudge. Consequently, we have done meticulous research and consult some makeup artists to come up with best methods on how to keep eyeliner from smudging under eyes. With our below tricks and tips, you can say goodbye to a raccoon eye which is caused by smudgy eyeliner. Start now and practice these best tips as soon as possible to get a perfect look. A lot of people just pay attention to supply moisture for face skin without caring much about the eye area. In this case, your skin care routine might be a cause to your smudging eyeliner. Your eye makeup will smudge under your eyes quickly or even run down your face if the type of moisturizer is oil-based and heavy. It is to say; one of the first thing in learning how to keep eyeliner from smudging under eyes is to take skin care products into consideration. Don’t use oil-based eye cream or moisturizer and avoid applying too much. Do you understand why? We have been researching and found that eyelids have the ability to produce natural oil to protect and moisturize the eye skin area. As a result, there is no need to use more moisturizer to that place. If you try to add more oil-based moisturizer, your eye makeup will say goodbye and smudge any time. We suggest that you should use a rich cream for night skincare; whereas, a water-based eye gel or less emollient cream is preferable for the morning pre-makeup. Right now, add an eye primer to your eye makeup routine. Makeup artists said that it is the golden rule to a non-smudging eyeliner. If you don’t use it, it’s too late to know how to keep eyeliner from smudging under eyes. The fundamental purpose of using an eye primer is to obscure unexpected red tones. Additionally, it works as a base to keep the eyeshadow long-lasting; thereby combating smudging. Regarding what type of eye primer to prevent eyes from smudging, we want to name NARS Smudge Proof Eyeshadow Base. There are so many benefits you can get from this brand. From our experience, it is one of the best brands ever to assist you in drawing beautiful and natural eyeliner. The key thing is that the eye primer from this well-known brand has been proved to extend the durability of eyeshadow, eyeliner as well as the eyebrow. It was dermatologist and ophthalmologist tested and proved to contain no fragrance. 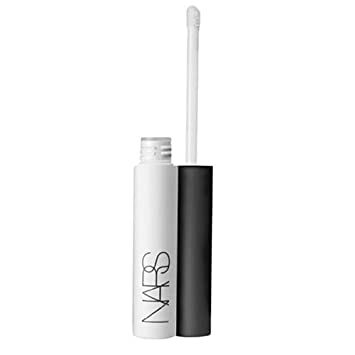 This eyeliner from NARS also leaves a matte finish which will create a better skin for color application. Moreover, you will find it different from others in which its formula is lightweight to leave a seamless canvas. As a result, the eye makeup later looks more brilliant than a makeup without eye primer. Get it and be surprise to receive an eyelid smooth. We all know that one of the best ways to understand how to keep eyeliner from smudging under the eyes is to choose a waterproof formula. It’s always better with that kind product to help your eyeliner be prone to smudging. A good brand eyeliner is always better than others. Instead of using a low-quality brand, you’re advised to invest in a high-quality although it can be more expensive. However, you can avoid dreaded raccoon look which you never want. It’s the truth that a good brand eyeliner possesses a higher long-staying power than the others. What’s more, it helps your eyes from irritation and redness thanks to the meticulous design and high technological initiatives to produce high-quality eyeliner. A liquid eyeliner is recommended by many makeup artists. It is not only easy to use but also efficient in preventing eyeliner from smudging under eyes. At first, this kind of eyeliner might be wet, but it will dry quickly and leave a high resistance to stop the eye makeup from smudging. Note: Liquid liners are born not for the waterline. So, choosing a pencil eyeliner for that area. One more note is to wait for the eyeliner to dry before applying other eye makeup products because they may run down when the previous layer is still wet. A gel eyeliner is also an excellent choice. Why do we choose this? It’s because it also offers high durability and; therefore, there is a little chance that your eye makeup will smudge under the eyes. One bonus point for gel eyeliner is that it can be used for your waterline. Many people often wear too heavy or dark liner on the lower lash line. However, they’re not aware that your eyes will be severely dragged down. Hence, you will look tired and old. Additionally, a dark and heavy eyeliner is easy to smudge than a lighter color one. So, we recommend using a lighter color and applying a thin layer on the lower lash line. In every makeup tips, we need to do step by step to be sure that the previous layer is entirely dry and absorbed before continuing to layer the next product. Do you know that if you use eyeliner when the primer hasn’t been dry yet, the surface will be slippery and you will suffer from the eyeliner smudging? Bear it in mind and you’ll have at least one more tip about how to keep eyeliner from smudging under eyes  . You have been practicing all the tips to explore how to keep the eyeliner from smudging under eyes. But, you’re always in the habit of rubbing your eyes. You’ll fail no matter how good you are in preparing for a perfect waterproof and smudge-proof eye makeup. Remember that rubbing your eyes make the eyeliner application to be spoiled. Also, you are required to stay away from the area around eyes. Try not to touch it too much. Because heat is one of the main causes that leads eyeliner to smudge under eyes. If you are spending the day outside with the sun and summertime, avoid the heat by wearing sunglasses. When you don’t shield your eyes carefully, heat from sunny days can make the eyeliner smudge or even run down your face. Whether you’re using a waterproof and smudge-proof eyeliner or you’re doing all just to keep the eyeliner stay put throughout the day. In case, your face gets wet, all the things you do involving how to keep eyeliner from smudging under eyes will be wasted. If you’re wearing makeup, the best way is not to be involved in swimming sessions, a shower or your excessive sweating. Everyone can choose their own liquid liner applicator. To do so, they need to experience many kinds to find out what’s the most suitable for them. For some people, a brush applicator can be the best choice; whereas, others feel comfortable to draw liquid liner with a felt-tipped applicator. For those who prefer a cat eye, try to reach for felt-tipped pens to draw perfect liners. You must know that a setting spray is essential to keep the makeup in place. Moreover, it helps to moisturize the skin instantly, so the skin becomes smooth and creates even skin tone. For eye makeup, a setting spray is no long an extra product but it is now a must. Don’t to be too lazy to use an appropriate setting spray to make your eye makeup stay put. And, that’s why we make sure that it is an important plus tip if you want to know how to keep eyeliner from smudging under eyes. Close your eyes before spraying your eyes area. Let the setting spray to dry naturally. During the day, you could use it anytime you want. If there exists excessive moisture, a clean paper towel might be helpful. There are some occasions when you’re outside. Unfortunately, your eyeliner is smudging under your eyes. It’s such a terrible situation that nobody wants. So, you need to prepare well for all cases. That’s why we want to share with you some ways to fix a smudgy eyeliner quickly when you’re not at home. You should keep aside your makeup remover. You will need it, for sure. Bring along some cotton bud. When your eyeliner is smudged, using the cotton bud with makeup remover to get rid of the smudges. Then, you need to remove some of your mistakes by using some concealer to sweep them. Remember to blend the concealer well to make it absorb into the skin quickly. That’s all you can do in case you get into trouble with a smudging eye makeup. To sum up, it always takes time to find out both eyeliners that are suitable for each one but also ways to apply that eyeliner correctly. It is the fact that, face and eye makeup are not easy, especially for those who just try for the first time. Even if you are the person who often wears eyeliner, we’re sure that you sometimes still feel confused when your eyeliner is going to be smudging. Master our above tricks to know more about how to keep eyeliner from smudging under eyes. Do you have any questions or unknown problems with smudgy eyeliners? Or even you want to share with us some more useful tips or products to avoid this issue, feel free to share with us by leaving some comment. Share these information with your friends or anyone who concern. Hit LIKE and SHARE if you find this helpful. Thank you for your reading!